When you consider what a tremendous towing service provides it all revolves around service and response time. Well, the team at Leesburg Tow Truck knows this well and has been proudly serving the Leesburg, VA area with pride for more than a decade. With more than a few miles under our trucks, our team knows that to be successful in this business you need to dedicate time and energy to the craft. This is why our team is so excited to now be working with Fairfax Tow Truck out of Fairfax, VA to provide our customers with the best possible towing experience, no matter where they break down. We are still the same Leesburg Tow Truck, but with some extra backup from the big city in the case, we get a little too busy to handle all of our calls! With this partnership, we are still proud to provide our clients with some of our great services and towing services that help ensure Leesburg Tow Truck is the top choice for all things towing in Leesburg, VA and beyond! As a tow truck company, naturally, the team at Leesburg Tow Truck has excelled at providing towing services across the city for our great clients. We offer three distinct towing options, each with a few guarantees. Our drivers will be upfront on costs and will provide you with some opportunities for paying the fee, including accepting all major credit cards. 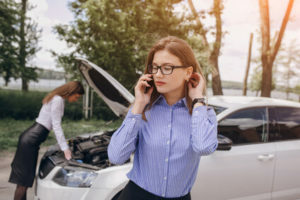 We will do our best to get you to a mechanic of your choice, or if you do not have one, we will provide some trusted mechanics you can choose from. If you are using our services for long distance towing services, we will get your baby, or your vehicle to its new home safely and securely. Our bread and butter at Leesburg Tow Truck are light duty towing. This towing is best described as towing for consumer vehicles and will ensure that you and your vehicle get to a mechanic or home safely! 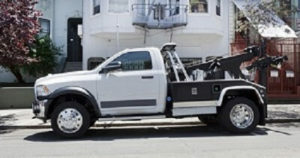 Our medium duty towing option is for those who have equipment or tools and can handle larger work trucks and cube vans. We have been providing these services for years, and our commitment to excellence is part of the reason that independent contractors from across Leesburg, VA trust our tow trucks to tow them. Our heavy duty towing service is one of a kind and will ensure big rigs and charter buses will be able to get back to their yard. See the Leesburg Tow Truck difference, and experience a towing service that you enjoy! Our tire change service ensures you and your loved ones are safe after a tear, flat, puncture or blow out. We have bene doing tires for a while, so skip the jack, and let our team take care of it for you. Skip the walk to the gas station, and trust the team at Leesburg Tow Truck for their gas delivery services. Our gas delivery service will help ensure you enjoy quality gasoline at market prices and will help you get on your way! Do not even try the trick with the metal wire until you have called the team at Leesburg Tow Truck. We have been getting our clients back into their cars for years, and with our team, your vehicle will not have a single scratch on it. 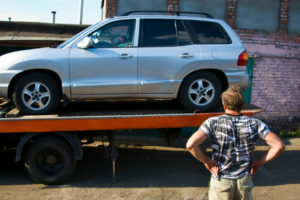 Trust our team, and see why Leesburg Tow Truck does lockout services the right way. A dead battery is no match for our great battery jumpers! See how Leesburg Tow Truck helps ensure that you can get back on the road in a jiffy with a jump start service right here in Leesburg, VA. Accidents are never a good thing, but at least you know that your care will be taken care of when you call the team at Leesburg Tow Truck. We have been providing emergency services in and around Leesburg, VA with our accident recovery services for more than a few years, and can retrieve any vehicle, no matter the situation. Let our expert drivers handle the wreckage, and you can focus on getting better! Call our team today, and see why Leesburg Tow Truck is the best choice for all things towing, and roadside assistance in and around Leesburg, VA!